These three awards offer graduate students and teachers of Classics (Greek, Latin, Classical Art & Archaeology and Ancient History) at the pre-collegiate (primary, secondary, or high school) level the opportunity to advance research and/or pedagogical interests abroad in Athens, Rome, or other appropriate ancient site. Award amounts cover program costs (tuition, basic room and board) as per the AAR and ASCSA summer school or other program web sites. Airfare and other transportation expenses are excluded. The William T. Semple Award is a full fellowship for attending the Summer Session of the American School of Classical Studies at Athens only. (Applicants for ASCSA Summer Seminars should apply for the Benario Award.) This award is named in honor of William T. Semple of the University of Cincinnati. The Mary A. Grant Award is a full fellowship for attending the summer session of the American Academy in Rome. This award is named in honor of Mary A. Grant of the University of Kansas. The Janice and Herbert Benario Award is a fellowship that the recipient may apply to the summer travel (not fieldwork or conference) program of his or her choice. Amount is contingent upon program cost, up to $3000. An applicant for the Benario Award must submit an itemized budget of program costs (no travel expenses) at the time of application. This award is named in honor of Herbert and Janice Benario of Emory University. 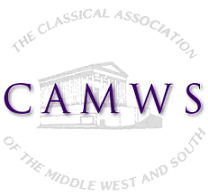 is enrolled as a graduate student in a degree-granting Classics program within CAMWS territory (camws.org/about/map.php). CAMWS members teaching at or students at a school outside CAMWS territory are eligible to apply for these awards if their schools are current institutional members of CAMWS (https://camws.org/institutionalmembership). Preference will be given to applicants who have not received one of these travel awards in the past four years (teachers) or two years (graduate students). Priority for the Benario Award will be given to applicants interested in summer programs other than those of the American School of Classical Studies at Athens and the American Academy in Rome, which are normally funded by the Semple and Grant Awards. Many other programs can be funded with this award. Here is a list of programs which the Benario Award has supported in the past. An individual cannot accept a Semple, Grant or Benario Award from CAMWS if (1) he or she receives any other award or scholarship for the same summer program and the combined amount of these awards would be more than the cost of the program and airfare, or (2) he or she receives another CAMWS summer travel award, such as the Excavation/Field School Award. Winners of the Semple, Grant and Benario Awards are free to apply for external funding to cover their airfare, which is not covered by the award. On-line Application Form must be received by January 15, 2019. Please note that files must be complete (including all letters of recommendation) for candidates to receive an award. The subcommittee may read and rank incomplete files, but no incomplete file may receive the award. If a recipeient cannot accept the award by March 31, the award will be given to the runner-up. Recipients of these awards are encouraged to accept them in person at the annual CAMWS business meeting and are expected to submit a written, illustrated report for the CAMWS Newsletter. Questions regarding the application may be directed to the chair of the Semple, Grant and Benario Subcommittee at sgb@camws.org.